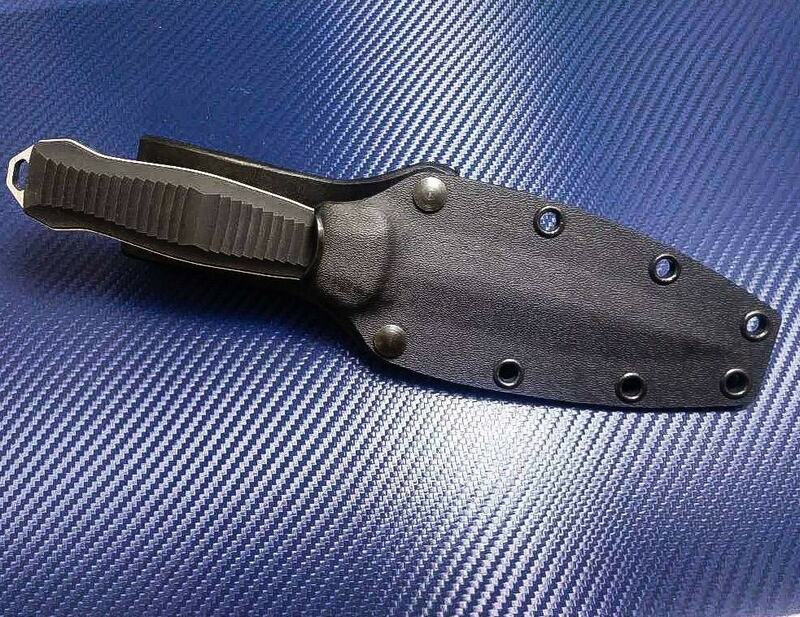 This is a handmade Kydex sheath for the Benchmade 133 Fixed Infidel. 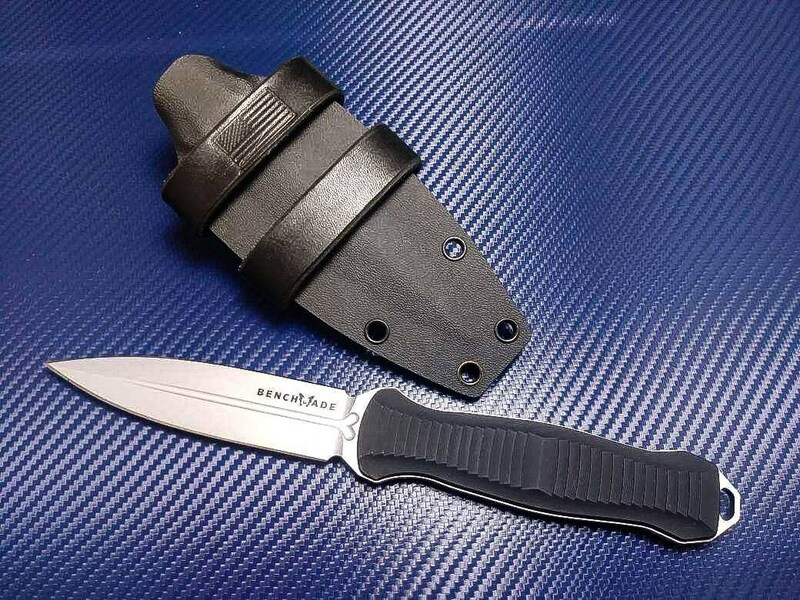 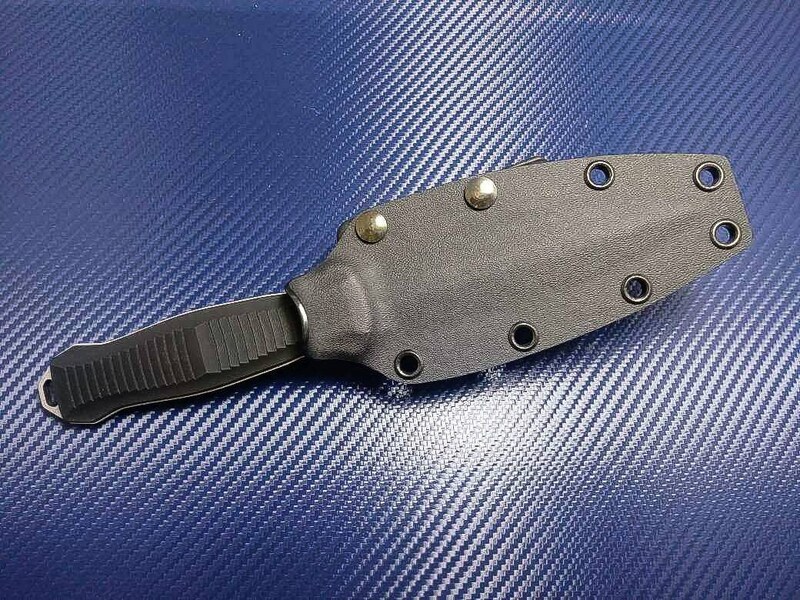 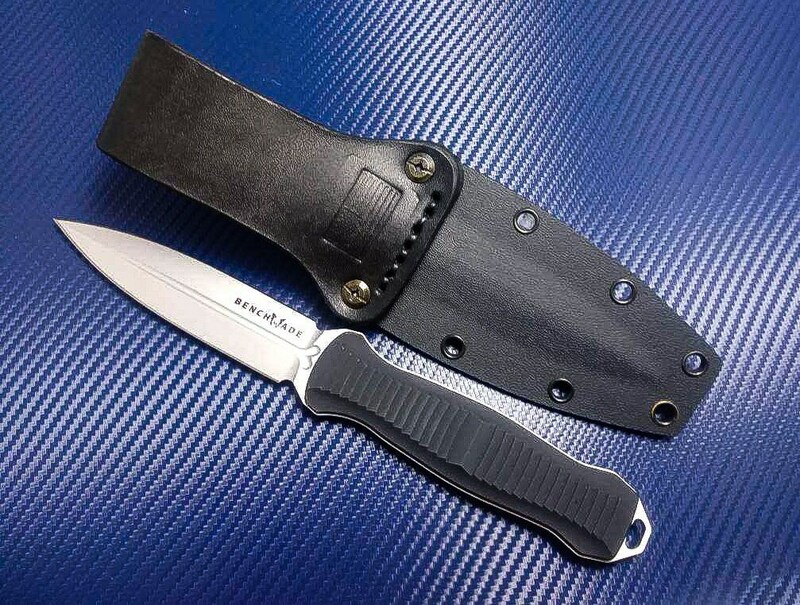 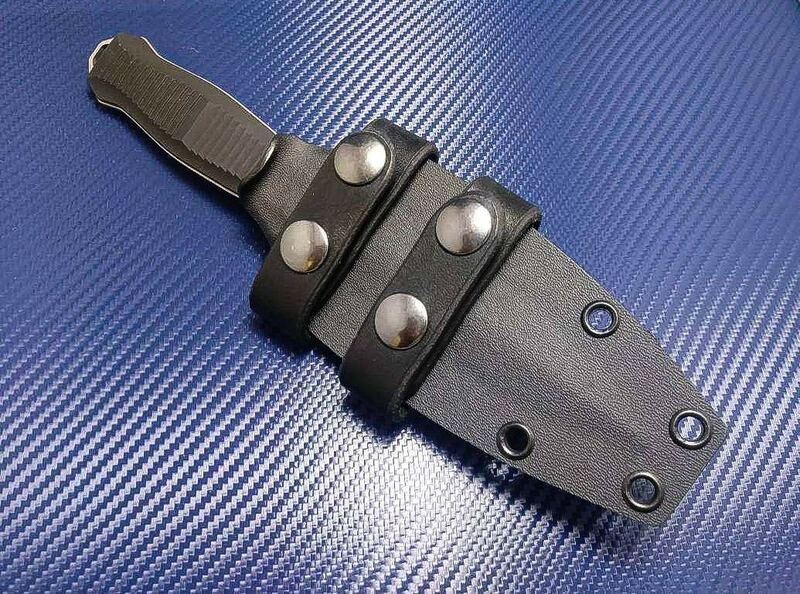 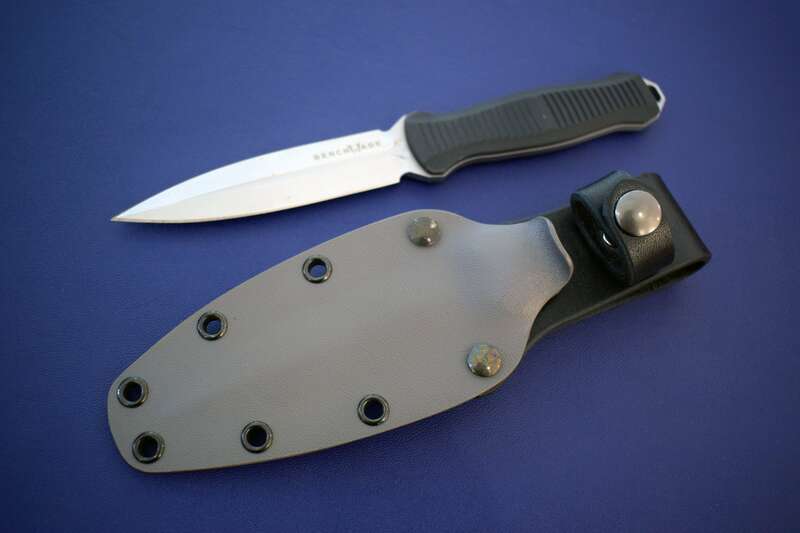 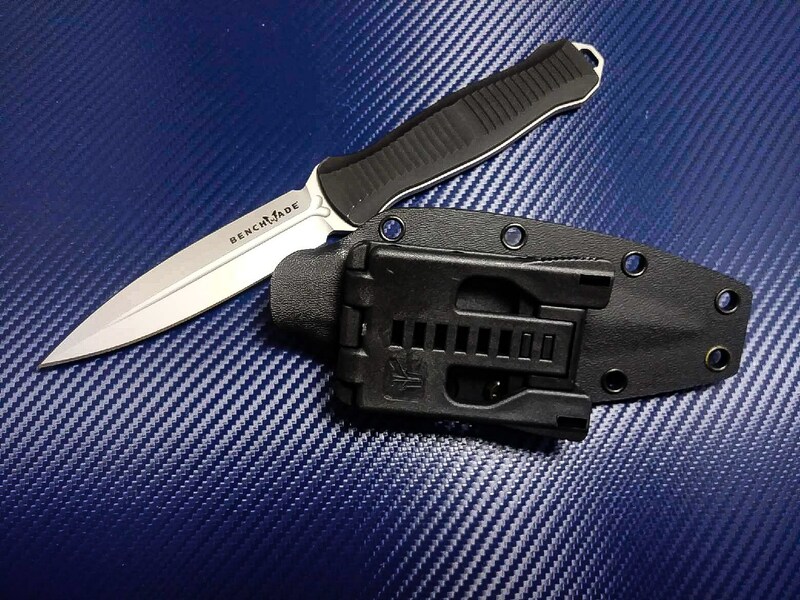 Each sheath is made out of heavy duty (.80) kydex and has several different options for carry. 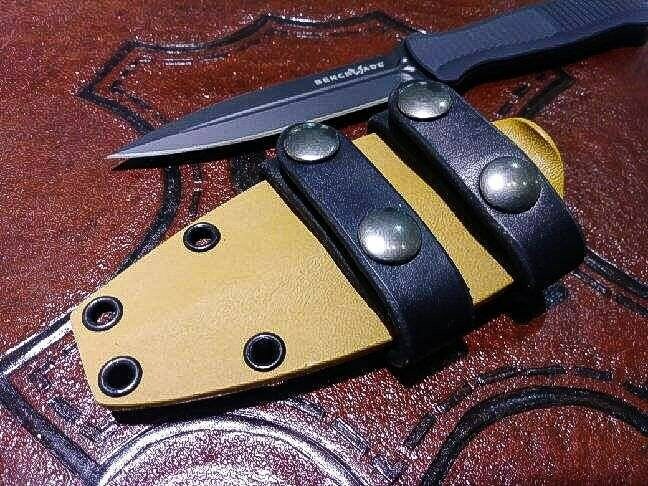 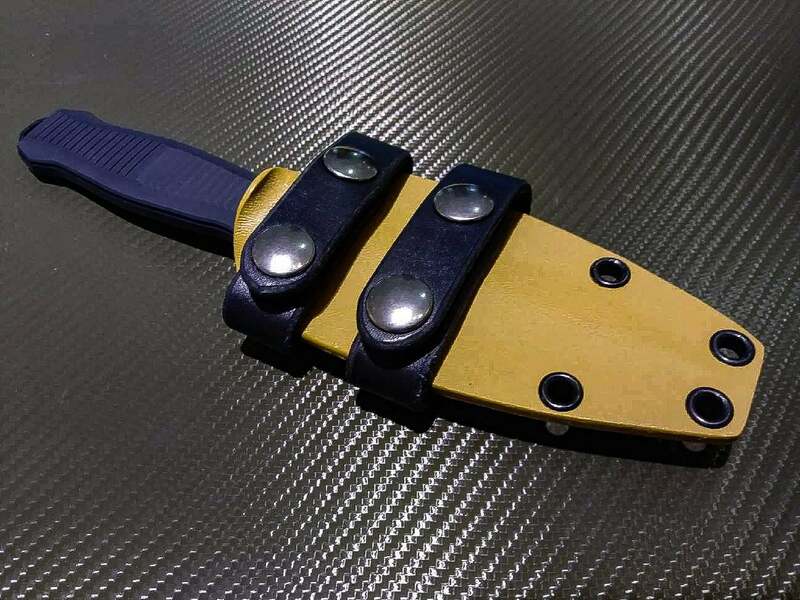 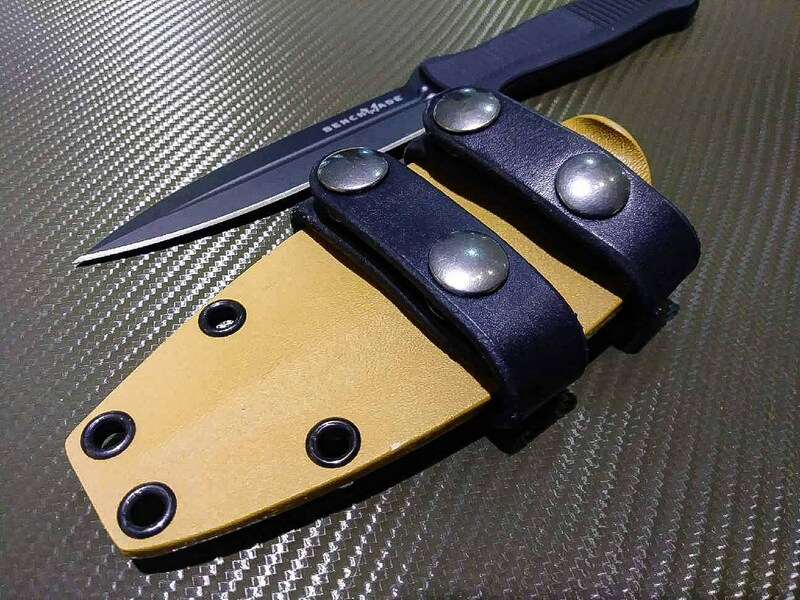 In addition to the different carry options, most of the options can be made with a leather retention strap to keep the knife from flopping around.